It is %100 handmade carpet .All colours are natural dyed.The fringes are cotton.Carpet surface is pure silk. 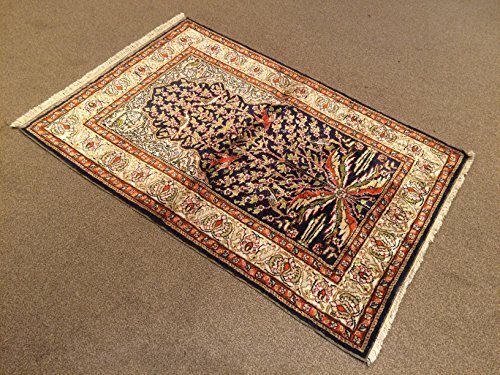 Size:3x4.7 feet 90x138 cm Material:silk on cotton Code:F410 Fast Worldwide Shipment in 1-3 business days after the order and it may take an additional 3-5 days for delivery. All items are shipped by Fedex and Ups. Tracking number is sent to you after deliver of item to Fedex and Ups employees.Please note that light effect, monitor's brightness, contrast etc. may cause a slight color difference on items. I do not edit the colors of my pictures and strive to show my items as they appear in natural light. Colors may vary slightly depending on your computer's monitor settings.